This four year project was completed in January 2016. It analysed the UK Coalition Government’s major reform of ‘arm’s length bodies’ (ALBs – often called ‘quangos’). Quangos are a frequent focus for public, political and media criticism, regarded as unaccountable, wasteful, and self-serving. But they are also indispensible to modern government, preventing ministers from becoming overloaded, bringing expert advice and management to complex policy issues, and undertaking regulatory and quasi-judicial tasks that need to be politically independent. In 2010, the incoming UK Coalition Government had a strong political commitment to reducing the scale of the quango state. It believed this would improve accountability and assist deficit reduction. It set out to reform almost half of the 900 ALBs for which it was responsible. Our research asked whether and to what extent ALB reform would deliver the policy goal of a smaller, smarter, cheaper state, tracking reforms over the life of the Coalition government from May 2010 to May 2015. This project delivered a theoretically-informed but policy relevant analysis of the Public Bodies Reform programme. Over one hundred and fifty semi-structured interviews were conducted, a new statistical database was created, twelve public bodies were examined in detail alongside four case study departments, and four focus groups were undertaken. The Public Bodies Reform programme was the most extensive attempt to restructure arm’s-length bodies in a generation. It sought to increase efficiency and accountability. Cost reduction was achieved, some £2.5 billion over the course of the 2010-2015 Parliament, but largely achieved through abolition and merging of the smaller organisations and reclassifying larger ones. On accountability, the government reinstated the annual Public Bodies directory and increased the types of bodies it included. However, reinforcing the convention of individual ministerial responsibility fails to accommodate the complexity of the arm’s length body landscape. The limitations of this approach were, with the support of this project, laid bare by the Public Administration Select Committee’s report of November 2014. The core finding of the research was that although the Public Bodies Research Programme was by some way the most extensive attempt to restructure arm’s-length bodies that answer to ministerial departments in Whitehall for at least a century its achievements were limited in terms of both efficiency and accountability. A significant theoretical contribution was to develop the idea of ‘meta-governance’ (i.e. the governance of governance) and apply this to the problem of managing the tension between the centrifugal pressure for increased ministerial accountable in the Public Bodies Reform policy and the centripetal force for outsourcing which is driven by the Cabinet Office and HM Treasury. It revealed that Government lacks an overall approach to thinking about the management and accountability issues arising from the different forms of arm’s length relationships and countervailing pressures. We contributed new insights on agency reform in two ways. First, we revisited Hood’s influential work, The politics of quangocide. Using theoretical innovation and fresh empirical research, we found that the Coalition had not simply engaged in quangocide, but had adopted a dual-track strategy based upon ‘bureau-shuffling’ and strengthening internal control. This has significant international and comparative relevance due to the manner in which these findings resonate with broader ‘post New Public Management’ narratives of state restructuring. Secondly, we challenge conventional explanations of agency survival during administrative reform by showing that agencies are active participants. We identify three archetypical defence strategies—technical expert, network node, and marginal adaptor—and argue that coding agency strategies alongside structural analysis can help better explain reform outcomes. The context of these reforms has enabled us to develop a new theory mass reorganisation that overcomes important limitations of the existing literature. Much of the theoretical and quantitative empirical work on reorganizations focuses on the binary decision of whether or not to terminate an agency, a focus that ignores the tradeoffs that lie at the heart of the type of public bodies reform we studied. We constructed a novel data set and provide evidence that high level choices regarding whether or not to remove agency independence influence to lower level choices about the way in which the functions of policy implementation are allocated. Considered both separately and collectively, these choices have important consequences for political accountability in individual policy areas and across the British government. This research was co-produced with the active involvement of key stakeholders (notably the Cabinet Office, Public Chairs Forum and Institute for Government). This enabled our research to be infused into the centre of the policy-making process in Whitehall and Westminster. Our project’s impact on policy and practice audiences was achieved through various mechanisms. We enhanced stakeholders understanding of the process and outcomes of the reform by delivering research-based presentations to seminars organized by our policy partners. These were attended by civil servants involved in public body reform as well as chairs, board members and senior managers from individual public bodies. Our presentations offered an independent view of the reforms, stimulating debate amongst stakeholders and identification of potential developments. This independent view – as a ‘critical friend’ – has been central to our ability to retain engagement with key stakeholders and influence the development of policy and practice. We helped shape specific developments in the reform and management of public bodies by undertaking specially commissioned studies to provide in-depth analysis of topics of interest to our partners. These included analyses of the sponsorship arrangements between ministries and public bodies, the effects of the new financial control framework, triennial reviews, and the future role of the Public Chairs Forum. By looking across Whitehall, some studies were able to isolate ‘best practice’ that could be disseminated more widely, for example in relation to the integration of sponsorship arrangements into a central unit within a ministry or the development of more proportionate forms of triennial review. We informed and influenced the debate within Westminster about ministerial accountability for public bodies. We submitted research-based evidence to parliamentary enquiries, including those initiated by the (then) House of Commons Select Committee on Public Administration and the House of Lords Committee on the Constitution, as well as the National Audit Office study of the financial effects of public body reform. The culmination was the appointment of Prof. Flinders, a member of the research team, as special adviser for the Public Administration Committee’s inquiry into the accountability of public bodies in 2014. The Public Administration Committee made considerable use of the team’s written and oral evidence in its analysis and recommendations to Government. Finally, we informed the wider debate about and public understanding of ‘quangos’. We wrote numerous Blogs and published newspaper articles. Our project web site contained regular updates on the reform process. We also organized an event for 6th form politics students from 4 schools, using the ‘Legislate’ game designed by the Parliamentary Solicitor’s Office which models the legislative process from inception to implementation. A local MP and civil servants involved in public body legislation also contributed to the day. The impact here was the improved understanding and critical analysis of the UK’s legislative process by young people reaching voting age. The team also contributed to a similar event organized by the Cabinet Office for schools in London as part of Parliament Week. 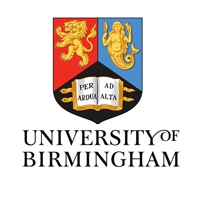 The project provided an excellent foundation for two new entrants to the profession, the post-docs who were originally appointed to work on the project – Dr Katharine Dommett (working with Professor Flinders at the University of Sheffield) and Dr Katherine Tonkiss (working with Professor Skelcher at the University of Birmingham). Over the two years in which they worked with us, they lead-authored and co-authored a number of academic articles, as well as blogs and shorter items for professional publications. They also led specific policy-related studies across government and undertook most of the interviews, many with senior figures in Whitehall, Westminster and the world of public bodies. They also presented to conferences of policy-makers, senior practitioners and academics. Both subsequently moved to permanent lectureships. The Sheffield team was also supported by Marc Geddes. We were then joined by Dr. Leanne-Marie Cotter (Sheffield) and Dr. Eleanor MacKillop (Birmingham), who continued to provide excellent research support and were similarly able to engage with government and academic communities and generate outputs. Our co-I in the US, Professor Anthony Bertelli, was able to offer capacity-building experiences to Dr. J. Andrew Sinclair, a recent post-doc, and Haram Lee, a PhD researcher, especially in the field of quantitative political science. Both co-authored academic publications with able Professor Bertelli. In addition, the team provided a number of events for PhD researchers based on the methods employed in the study and its findings, thus helping to build capacity in the wider academic community. The project has been able to deliver has been a greater understanding of the advantages and disadvantages of co-production as a methodological approach in the social sciences. The ‘politics of co-production’ has therefore emerged as an unexpected but incredibly valuable sub-theme of the project with specific insights and lessons for ESRC funded scholars in the future. The project gave a paper at the Annual Co-Production Conference at the University of Sheffield in 2014 on ‘the politics of co-production’ and this implicitly drew upon some of the research experiences and puzzles faced on this project. As a reflection of the high quality of engaged scholarship this paper was eventually published in the leading journal Evidence & Policy with responses from practitioners based in a range of think tanks and public bodies. • Co-convening and contributing to panels at the European Consortium for Political Research. 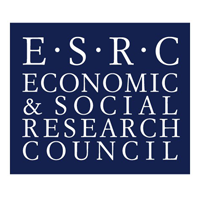 The achievements in terms of the ‘reach’ and ‘depth’ of the research outputs is reflected in the scale and number of scholarly outputs and by their publication in leading world-class peer-reviewed journals, including: Governance, Public Administration, British Journal of Politics and International Relations, Political Quarterly, Comparative & Commonwealth Politics, Policy & Politics, International Review of Administrative Sciences, British Journal of Political Science, Public Administration Review, and Contemporary British History. Links to open access copies of our publications can be found in the Findings section of this web site. We would like to acknowledge the invaluable assistance provided by the Cabinet Office Public Bodies Team, as well as the large number of civil servants across Whitehall, ministers, MPs and Lords, chairs, board members and senior managers of public bodies, and the Public Chairs Forum, Institute of Government and Association of Chief Executives. We also thank our Advisory Group for their challenging but supportive advice, and thank the numerous academics at conferences who have discussed our work prior to publication. Dr Katherine Tonkiss and Dr Katharine Dommett publish their most recent research on the role of the Public Chairs’ Forum (PCF), which was created in 2003…. Too easy to blame the ‘big, bad quangos’?